This is a list of the movie masterpieces that are the most accessible. This is why there are only films from the English-speaking countries on this, because they are more accessible in the U.S. than films from foreign-language countries. This list is a mixture of pop culture favorites and films that are going to be future classics. “The Wizard of Oz” is supposedly the most watched film of all time, which may account for it being the most accessible film on this list. However, it has a certain timeless quality that allows it to maintain a consistent level of popularity. 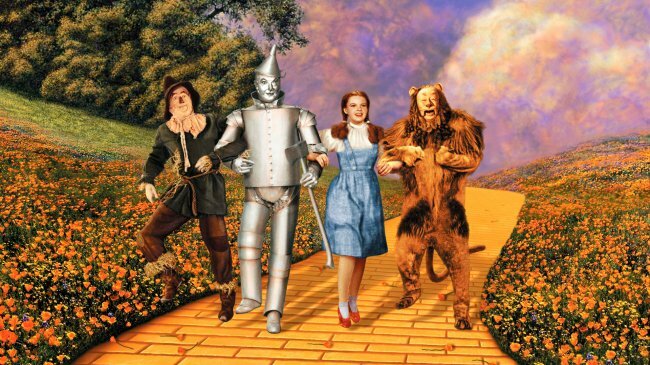 The otherworldliness of the Technicolored Oz when contrasted with the dingy sepia of Kansas most likely attributes to this popularity, because “The Wizard of Oz” is one of the few films that can transport the audience into a magical world. The best example of this is the scene after Dorothy’s house lands and she walks to the door to open it, which is all shot in sepia, but when she opens the door, the frame explodes with color so intense it feels as if you’re experiencing something both within reality and beyond reality. Something that only a film that floats—no, jumps from everyday sepia to intoxicating Technicolor could create. The frame disappears from the scenes in Oz and the audience begins to live in Oz with Dorothy. The Technicolor frames are so beautiful that any single frame could be mistaken for a masterpiece in photography or painting, depending on the frame because Oz is such a wondrous setting. This allows for the ending when Dorothy returns home to hit harder than it has any right to, because Dorothy would rather live in everyday Kansas with her family that she loves than in the wondrous Oz, reminding the audience that home is where the heart is, no matter how wondrous a place may be. 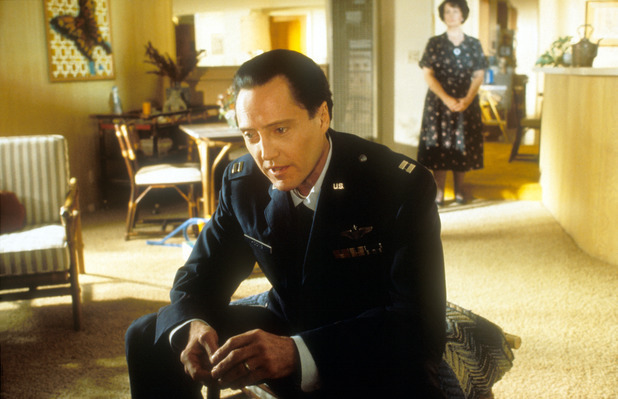 Quentin Tarantino arguably made the defining film of the ‘90s as well as one of the most beloved films of all time. This is all to say that this is the pinnacle of Tarantino’s film career, and it is likely that he’ll never reach this summit again. The reason being that Tarantino started off writing individual scenes, and for better or worse, all of his films feel like a collection of individual scenes, which is why “Pulp Fiction” works so well: it is essentially a bunch of short films with recurring characters. This is what makes this film the most radical narrative experiment that Tarantino has attempted, therefore, it is unlikely that Tarantino will surpass “Pulp Fiction” in terms of narrative storytelling. However, the style that Tarantino gives the film is what truly makes it special. 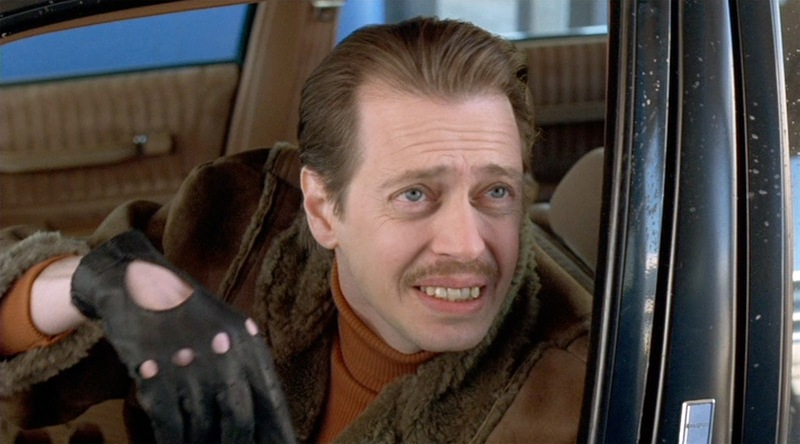 Tarantino has said in interviews that he tried to film a cheap crime novel and capture the poetry between the lines, and “Pulp Fiction” is the closest he gets to this. An example is the scene of Vincent Vega driving before he tries heroin and after he tries heroin. In the former, Vincent is filmed driving on the street like normal, and in the latter, Vincent is filmed driving on the street using rear screen projection, and it is through this minor contrast that Tarantino captures the poetry of Vincent experiencing heroin, because the two different ways of filming aren’t extremely different, but different enough for the experience of the two to be different. “Monty Python and the Holy Grail” is perhaps the most beloved comedy of all time. 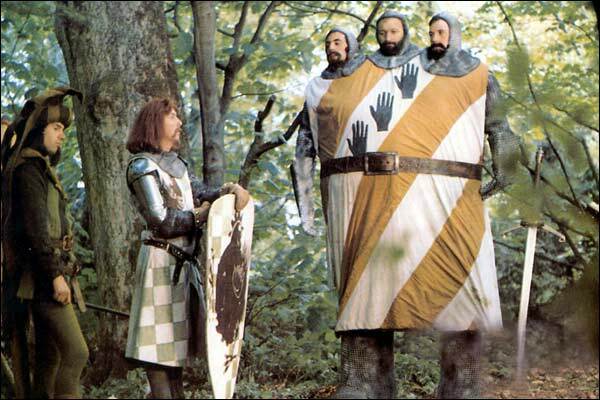 The film itself is an adaptation of a classic story, but the story is more or less a string that the Monty Python crew is attaching all their jokes to in order to create the funniest film possible. Needless to say, they succeeded, but many critics aren’t fans of the film most likely because as stated earlier, the film is a bunch of comedic vignettes that don’t amount to much more than a bunch of laughs. However, the same could be said of Jacques Tati’s magnum opus “Playtime,” which the main director of “Holy Grail” Terry Jones was a fan of. This comparison isn’t as apt as suggested because Monty Python’s film doesn’t have the poetry or the scope of “Playtime,” but it does have a paperback poetry, as opposed to the hardback poetry of “Playtime,” that is uncommonly found in pop culture comedies. An example of this is the opening scene with the sound of a horse approaching, which eventually is revealed to be two men, one galloping like he is on a horse and the other clunking coconuts together to make the sound of “the horse” galloping, who were approaching the castle without any horse. This is funny due to the misdirection that Tati also used in “Playtime” with the glass and all the gags he produces with it. However, the opening is especially funny because the joke was used for two reasons: the budget wouldn’t allow for a real horse, and Monty Python was pointing out the seams in the artificial production style of Hollywood. This is what makes “Monty Python and the Holy Grail” a great film: it is a commentary on filmmaking while also working on the level of a narrative film. This is completely evident by the film’s ending, which is both one of the funniest endings in any film as well as one of the most experimental. Needless to say, while Monty Python didn’t create a magnum opus on the level of “Playtime,” they managed to create a magnum opus of their own that inherits all the traits of the Monty Python crew, which is the sign of a true auteur if there ever was one. King Kong has been a staple in American pop culture since it first appeared. Countless remakes later and there still hasn’t been a better King Kong film than the original 1933 version of “King Kong,” but Peter Jackson’s 2005 remake of King Kong got the close. The reason is because Jackson understood that the continual fascination in King Kong lies in both the horrific nature of Kong and the mystery of Kong’s origins. This is what the original captures so well. It doesn’t take too long or make Kong too complex, which is the downfall of Jackson’s Kong. Merian C. Cooper and Ernest B. Schoedsack crafted an adventure serial that lasted 90 minutes and was only a single film, yet it still was every bit as exciting as those cliffhanger adventure serials. Cooper and Schoedsack elevate King Kong by make Kong a creature that is incredibly creepy and intriguing at the same time. 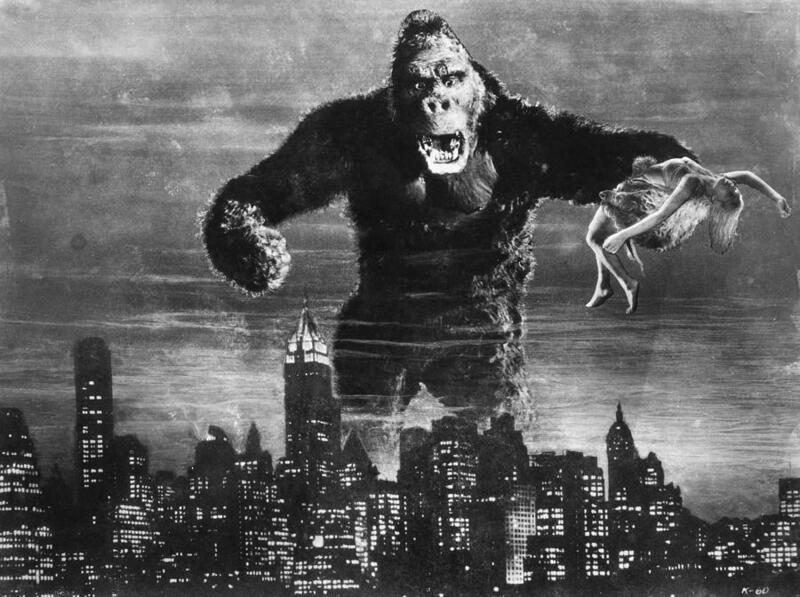 Something akin to the birds in Hitchcock’s “The Birds,” except Kong earns the audience’s sympathy because only by the end of the film do they realize that “King Kong” is actually a tragedy masquerading as one long adventure serial. It is this tragedy that gives Kong his humanity because instead of being a bloodthirsty animal, the audience realizes that Kong is an animal who was fighting loneliness, and the only way of escaping this loneliness was by being with Ann. This is illustrated perfectly in the scene where Kong is reaching in the apartment for Ann, and the way he is determined to reach her regardless of what gets in the way is animalistic, but even more so, the reach of someone experiencing desperation taking hold of them completely. This is to say there is a duality running through Kong that is rare in monster films and even more rare in adventure films: is Kong acting out of love or animal instincts? This question is why “King Kong” still makes an impact on audiences even after the film has become a part of the culture’s collective unconscious. This is also why an adventure film that also manages to be a tragedy has managed to become such a popular film as well as an influential one. “Psycho” is the reason that showers are more terrifying today than they were in the past. Since it opened in theaters, Alfred Hitchcock’s “Psycho” has been terrifying audiences. The most shocking part of the film is that the “main character” dies a third of the way through the film, which essentially allows the film to focus on its real main character: Norman Bates. Norman is a character riddled with complexity because the whole idea of someone unknowingly killing people can lead to interesting discussions. However, the most interesting thing about Psycho is the way Hitchcock manipulated the audience, so that every scene furthers the horrific atmosphere throughout the film, even with the final shot of the grimy car being pulled out of the lake. However, a better example of Hitchcock maintaining the horrific atmosphere throughout the film is the way that Hitchcock makes the Bates’ house feel like Dracula’s castle, while making Bates Motel seem like a safe place where danger is seeping through the cracks slowly, so that by the time Lila and Sam check in to the motel, the audience is on the edge of their seat expecting anything to happen. The contrast in these two settings right next to each other create a deadly friction that can be best characterized by looking at Norman’s relationship with his mother. Norman’s mother is overbearing and always watching him, much like the Bates’ house in relation to the Bates Motel, which is to say that Norman’s mother is represented by the old and gothic Bates’ house and Norman represents the Bates’ Motel, which is much more modern and less terrifying in terms of appearance, much like Norman himself. 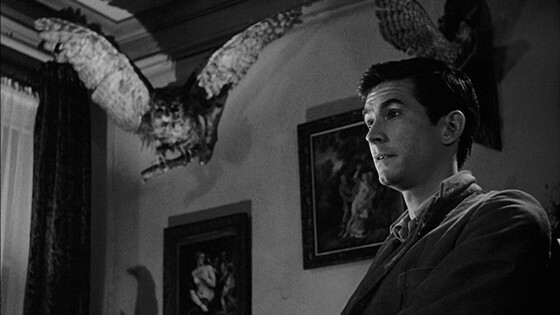 Hitchcock’s “Psycho” masterfully manipulates architectural surroundings to create an abstract visual expression for what Norman’s relationship with his mother must have been like. “Psycho” is definitely a film that defined the horror genre and terrifying qualities of showers everywhere.